This page contains historical and present day photos of Ontario's King's Highway 88. All photographs displayed on this page were taken by the Webmaster (Cameron Bevers), unless specifically noted otherwise. 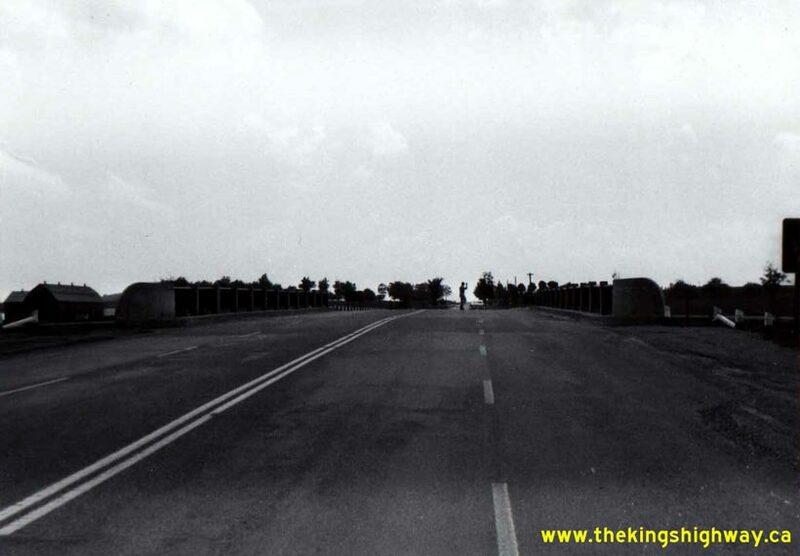 Historical photographs are arranged in approximate chronological order, while present day photographs (Year 2000 to date) are arranged by location from west to east. Click on any thumbnail to see a larger image! When Hwy 400 was widened to six lanes between Toronto and Barrie in 1971-1972, the width of the weaving lane at all of the cloverleaf interchanges on Hwy 400 had to be reduced in order to fit the lane through the overpass alongside the new six-lane freeway. 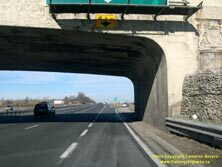 This proved to be a very economical interim solution, since it spared the exorbitant cost of having to rebuild all of the overpasses on Hwy 400 or reconfigure the cloverleaf interchanges. 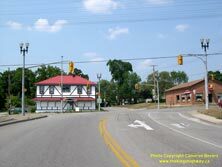 Many of the old cloverleaf interchanges were later reconfigured to diamond interchanges to improve traffic operations. 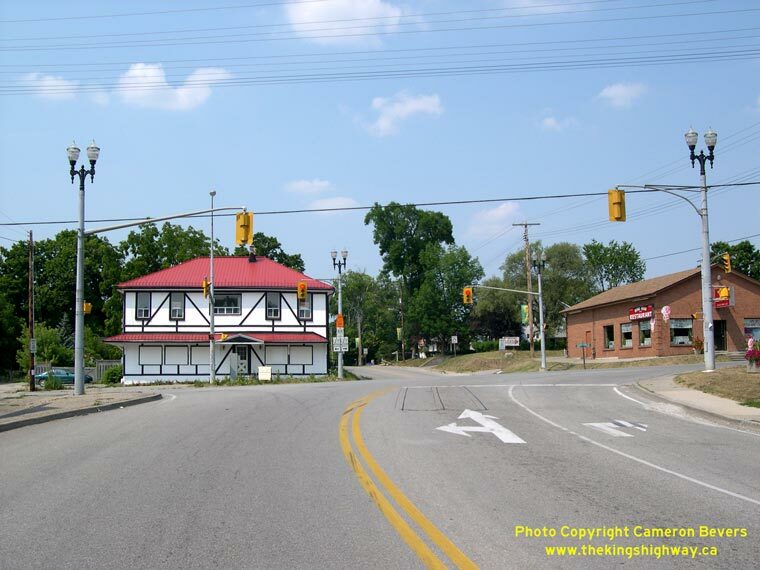 Until recently, the Hwy 88 Cloverleaf was the only surviving interchange of this design left on Hwy 400. 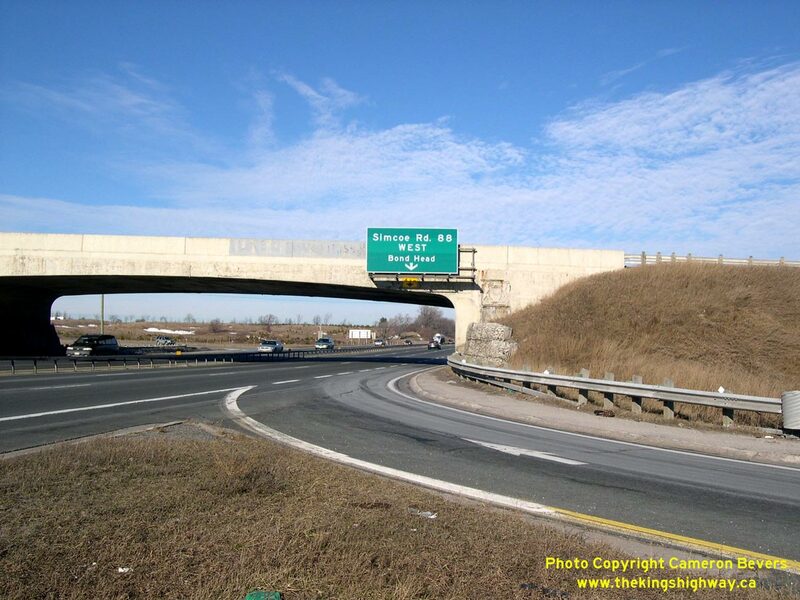 However, it too was converted to a diamond interchange during an interchange reconfiguration project in 2010-2011. 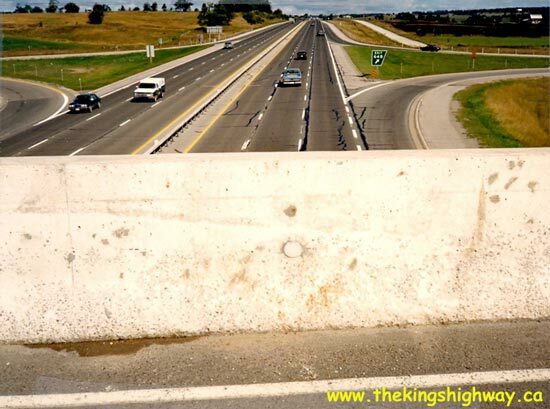 Above - Northern side of the Hwy 88 Overpass near Bradford in September 1985, showing the new parapet wall built when the bridge was rehabilitated in 1983. Above - Sign assembly at the Hwy 88 & Hwy 27 Junction in Bond Head. 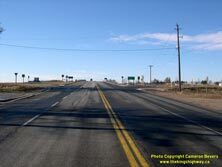 Left - Facing east along Hwy 88 towards Bradford from the Hwy 27 Junction in Bond Head. 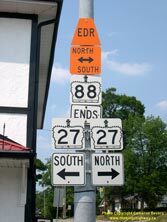 Right - Western terminus of Hwy 88 at the Hwy 27 Junction in Bond Head. 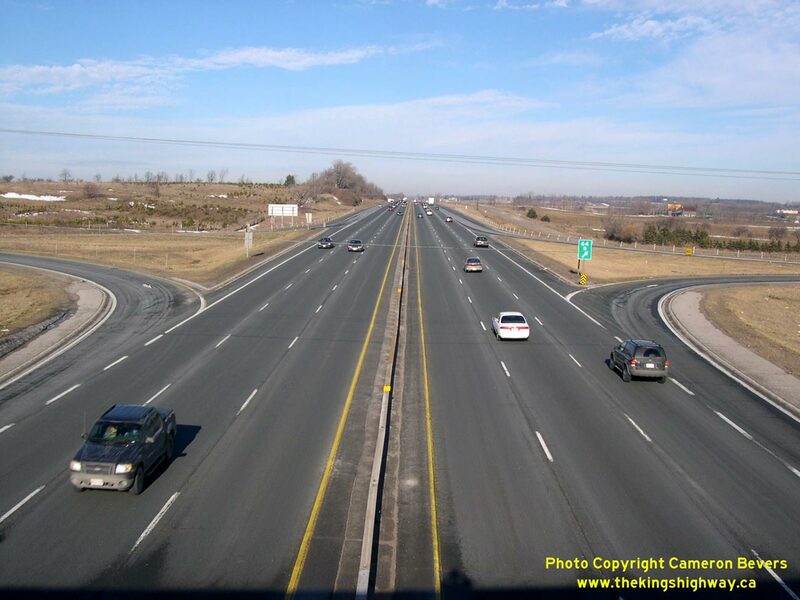 Left - Facing north along Hwy 400 towards Barrie from the Hwy 88 Overpass near Bradford. 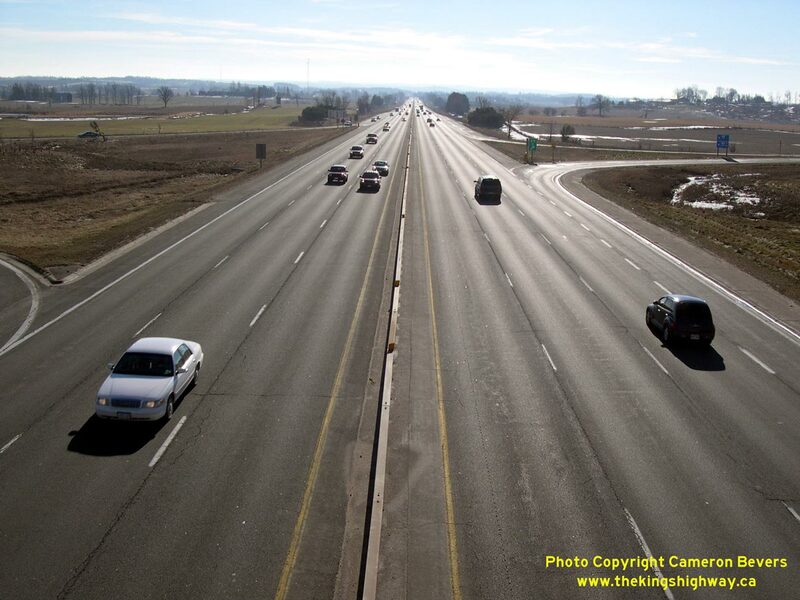 At the time this photo was taken in 2003, the Hwy 88 Interchange was still a full eight-ramp cloverleaf. 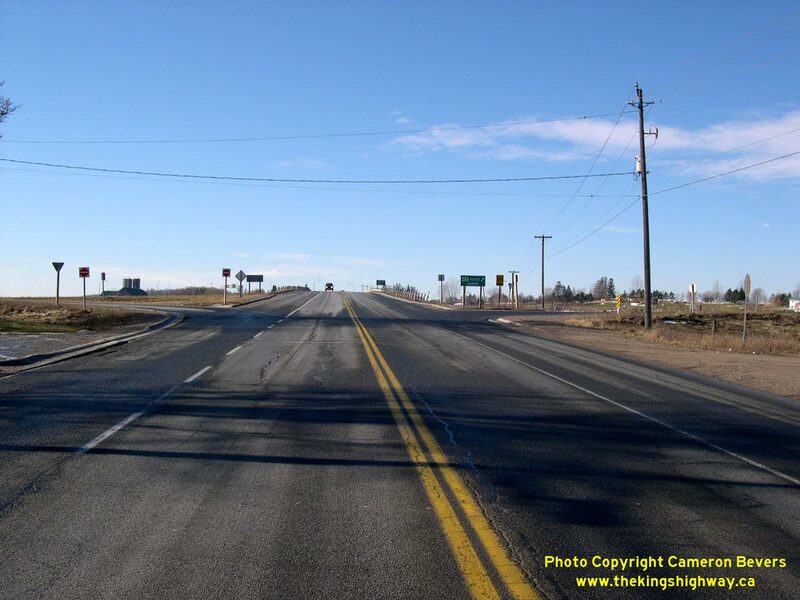 The four inner loop ramps at the Hwy 88 Interchange were closed off to traffic in 2011. See an Enlarged Photo here. 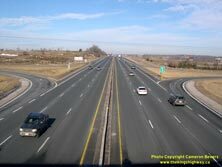 Right - Facing south along Hwy 400 towards Toronto from the Hwy 88 Overpass. 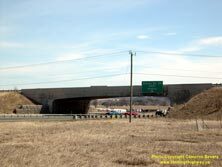 The Hwy 88 Interchange provides the main access route into Bradford from Hwy 400. 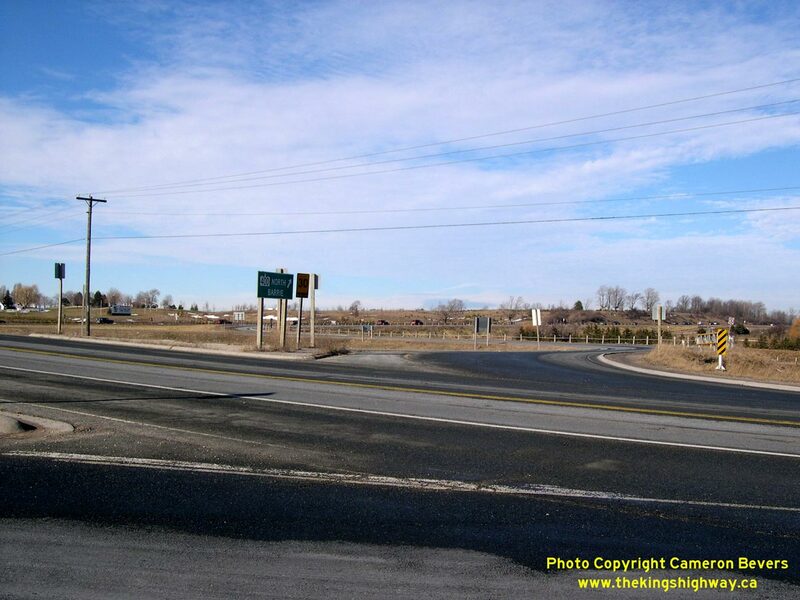 A second interchange was built at nearby 5th Line in 2016-2017, in order to serve this rapidly expanding town. See an Enlarged Photo here. 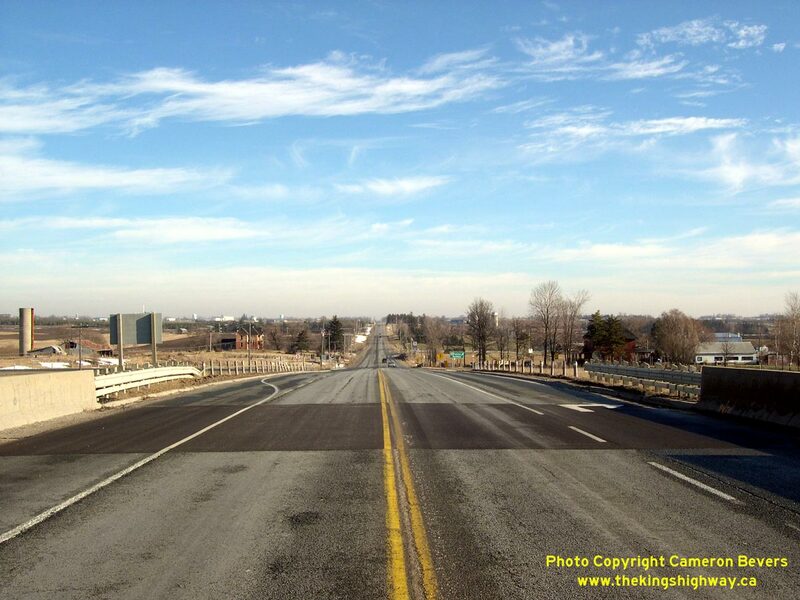 Left - Facing east along Hwy 88 towards Bradford from the Hwy 400 Interchange. 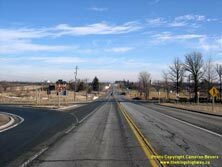 Hwy 88 was recently widened from two to four lanes between Hwy 400 and Bradford. See an Enlarged Photo here. 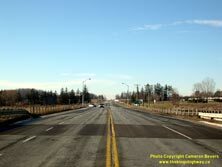 Right - Facing west along Hwy 88 towards Bond Head from the Hwy 400 Interchange. 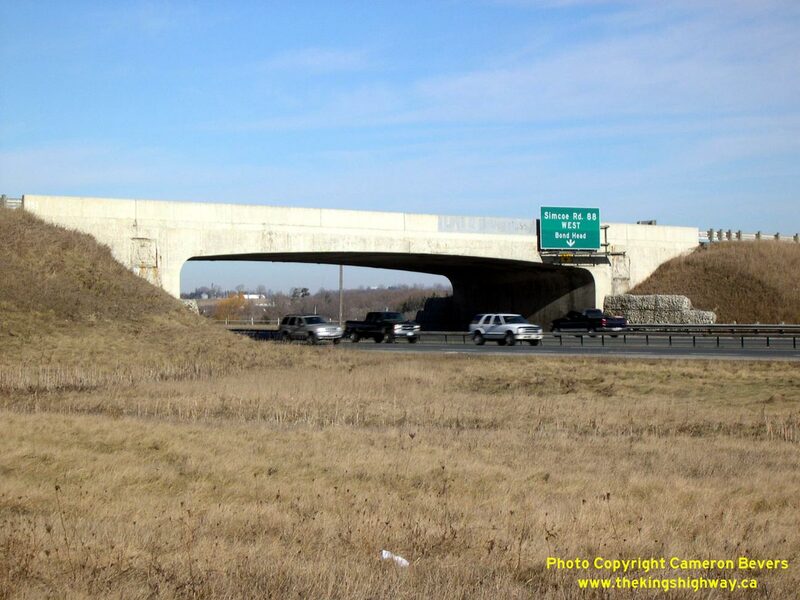 When the inner loop ramps of the cloverleaf interchange were closed off to traffic, new traffic signals were installed at the two remaining ramps terminals. 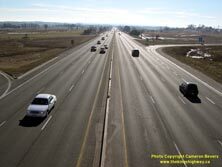 The west ramp terminal was converted to a four-leg intersection a number of years ago, due to the construction of a commuter carpool lot within the southwest loop ramp. See an Enlarged Photo here. Left - Facing east along Hwy 88, showing the old cloverleaf ramps to and from Hwy 400. When Hwy 400 first opened to traffic between Toronto and Barrie in the early 1950s, there were a total of five full eight-ramp cloverleaf interchanges along the highway. 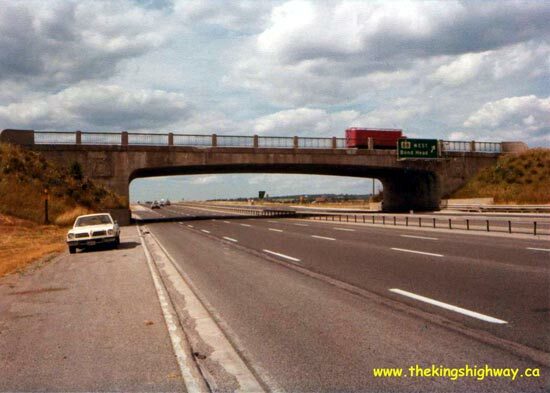 Over the years, the other four cloverleaf interchanges were gradually reconstructed. The Hwy 88 Cloverleaf was the last of its kind along Hwy 400, until it too was reconfigured into a diamond interchange in 2011. 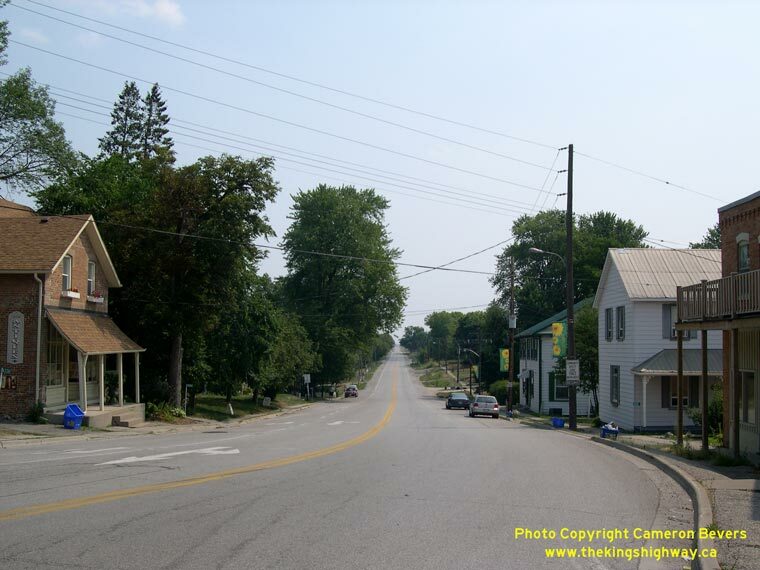 See an Enlarged Photo here. 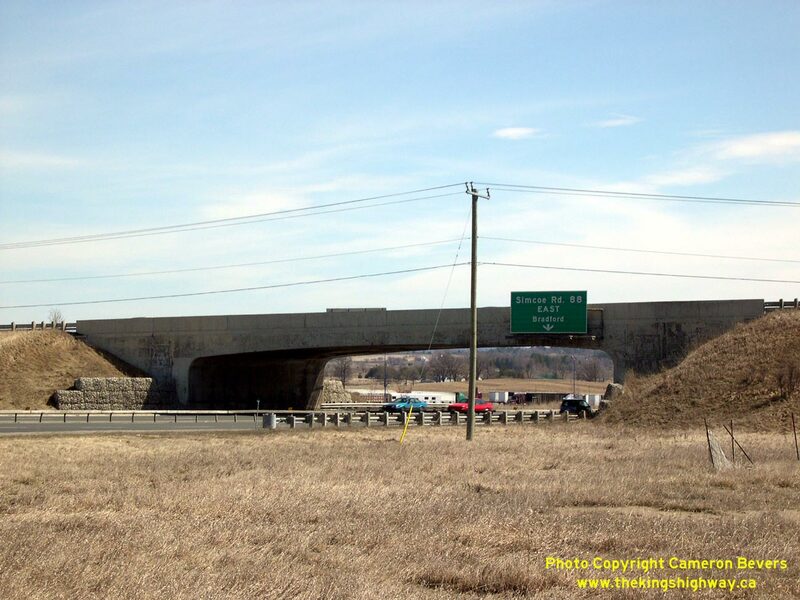 Right - Facing west along Hwy 88, showing the cloverleaf ramp configuration on the east side of the Hwy 400 Interchange. See an Enlarged Photo here. 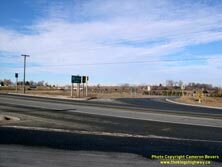 Left - Northeast quadrant of the Hwy 88 and Hwy 400 Interchange near Bradford, showing the older bi-directional ramp. 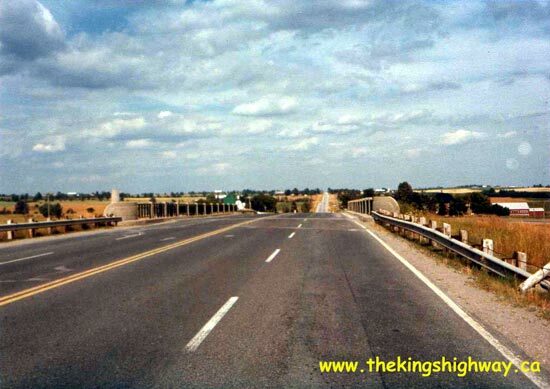 Interchanges built in Ontario during the 1940s and 1950s commonly had shared two-way ramps, which were then split off into one-way roadways by a traffic island on the approach to the freeway. Bi-directional ramps such as these are becoming very uncommon on today's freeways, as older interchanges are upgraded or replaced. See an Enlarged Photo here. 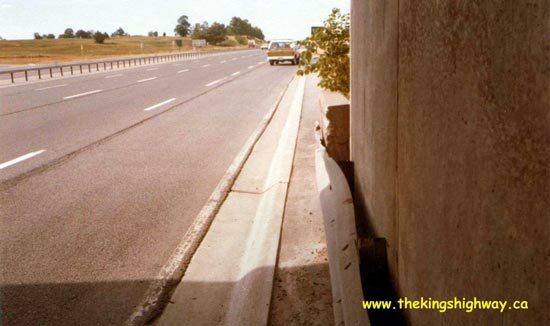 Right - Southern side of the Hwy 88 Overpass on Hwy 400 near Bradford. 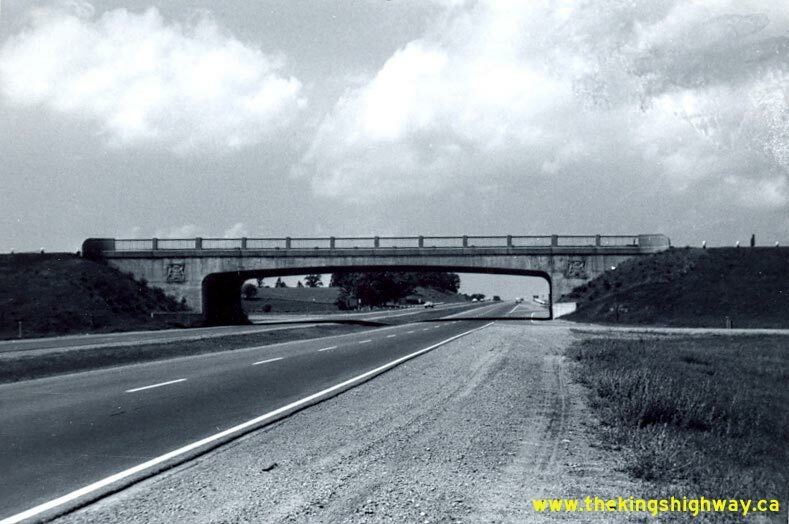 This single-span concrete rigid frame structure was completed in 1950. See an Enlarged Photo here. 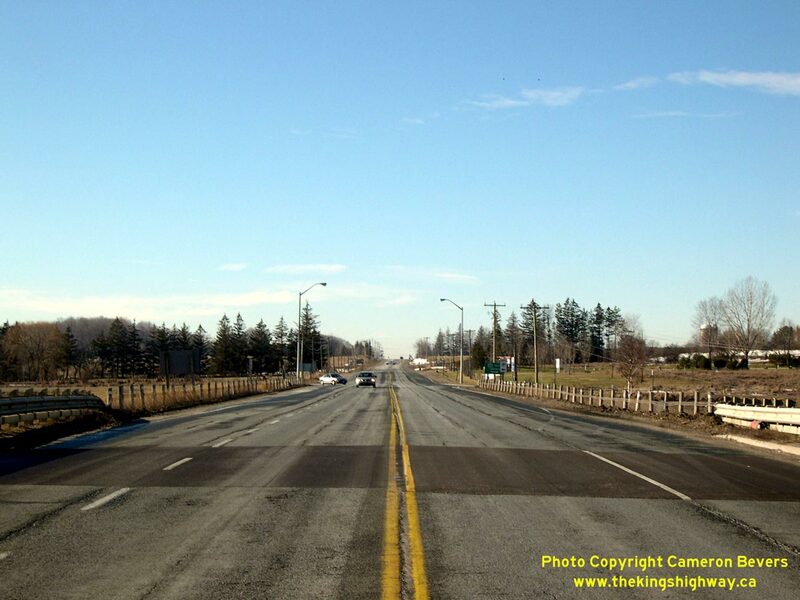 Left - Heading down the eastbound Hwy 88 on-ramp to northbound Hwy 400. Full eight-ramp cloverleaf interchanges such as the one at Hwy 400 & Hwy 88 were once quite common on Ontario's freeways. Over the past few decades, nearly all of them have been replaced with new interchanges or retrofitted in some way. 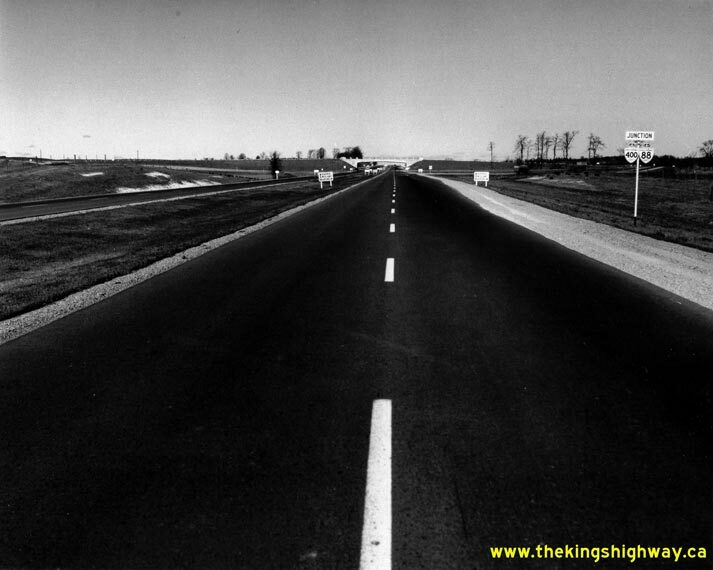 The Hwy 88 Cloverleaf on Hwy 400 was somewhat unique, in that it remained more or less the same for 60 years. It was retrofitted into a diamond interchange configuration in 2011. See an Enlarged Photo here. 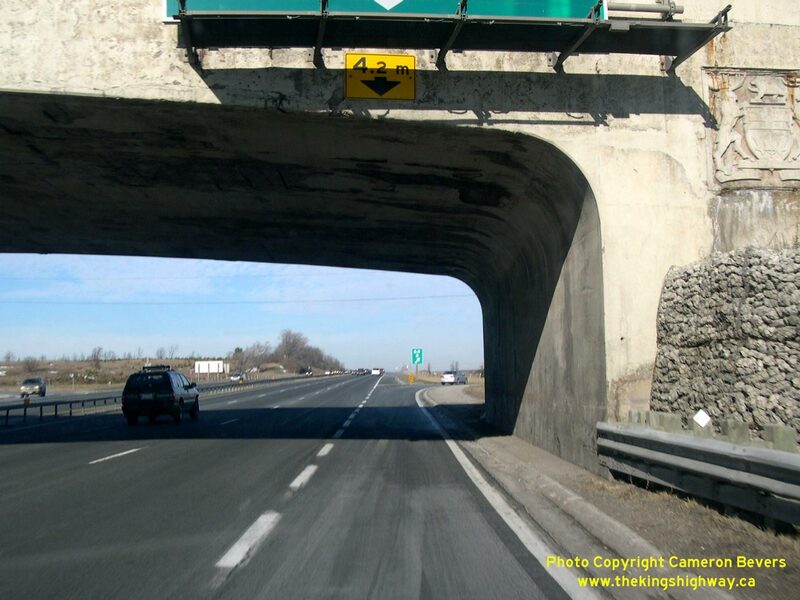 Right - Hwy 400 merge lane underneath the Hwy 88 Overpass, showing the short and very narrow weaving lane. 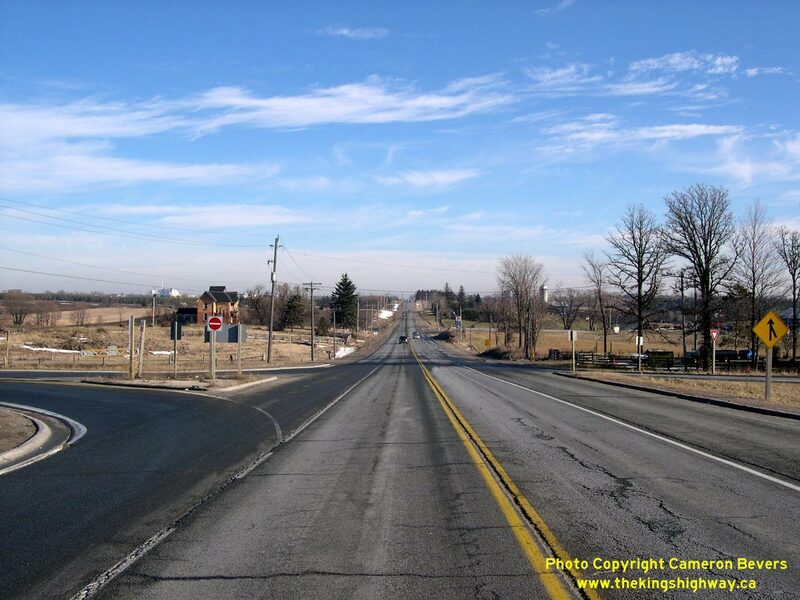 Over the years, highway lanes in Ontario have gotten progressively wider from 3.05 metres (10 feet) in the 1930s to 3.75 metres (12.3 feet) today. 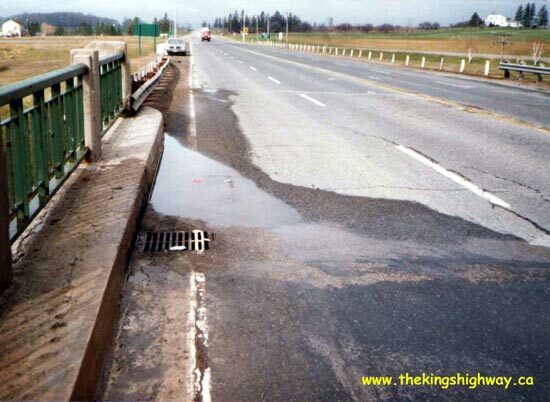 As a result, the weaving lanes at older interchanges tend to get squeezed through narrow bridge structures. 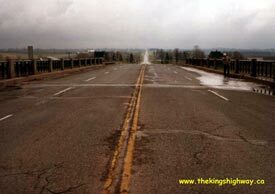 See an Enlarged Photo here. 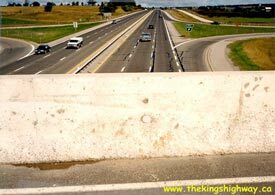 Above - Northern side of the Hwy 88 Overpass on Hwy 400 west of Bradford. See an Enlarged Photo here. 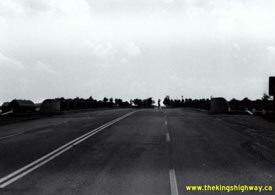 More King's Highway 88 Photographs Coming Soon!